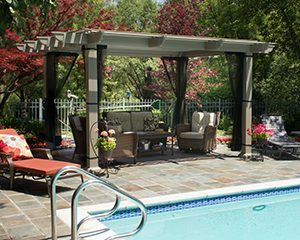 SRA Home Products is pleased to install tropical cabanas at homes throughout Warminster, Pennsylvania, and the surrounding area. 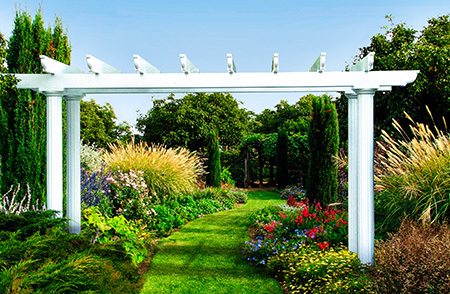 These elegant structures are reminiscent of the ones you would expect to see at a beachside resort. They offer the ideal space for lounging by the pool, chatting with close friends, or enjoying a good book. The thermal roofs found on our structures reflect the sun’s rays, helping to keep you cool while you sit underneath. Plus, with optional curtains, our cabanas can serve as a convenient poolside changing area for guests. With this durable coating, upkeep will be a worry of the past, leaving you free to relax and enjoy your time outside. Plus, our cabanas are constructed using heavy-duty, fully extruded aluminum. This tough material is stronger than vinyl, roll-formed aluminum, and even wood. 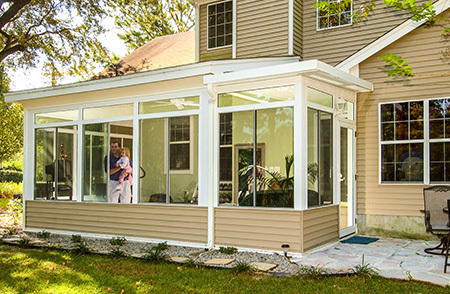 It also resists rotting, insect infestation, and deterioration, ensuring that you’ll be able to continue enjoying your new cabana for years to come. To learn more about having one of our tropical cabanas installed in your Warminster, PA, backyard, please contact SRA Home Products today. We’ve been serving the Delaware Valley region as a family-owned and -operated company since 1988. During that time, we’ve completed more than 5,500 installation projects. We’ve always placed the highest priority on our customers’ satisfaction, a quality that has helped us to achieve an A+ rating from the Better Business Bureau.